We are excited to announce confirmation of our next two litters!! We are planning our next litter from Buttercup and Cedric in spring 2015. This will be an F1 Litter. Both Buttercup and Cedric have ideal temperaments for laid-back, puppies – great for families with small children. We expect these puppies to be goldens to reds and average 60-70 lbs. Also planned in spring, 2015 is Coconut and Cedric’s litter. This is an F1b Litter. We expect this litter to be creams to apricots, and average 70-80 lbs. With Coconut’s and Cedric’s gentleness with children, we are certain these puppies will fit into anyone’s home with kids. 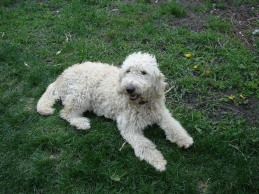 We are also excited to Stella’s first F1b Goldendoodle litter this summer. Dates and parentage TBA. 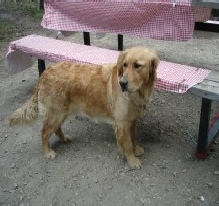 Stella is one of Buttercup’s beautiful girls, and has been living with her amazing forever family. 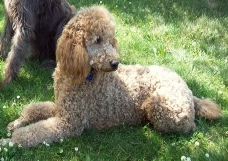 We are eagerly looking forward to her addition to our breeding program as her temperament is ideal.